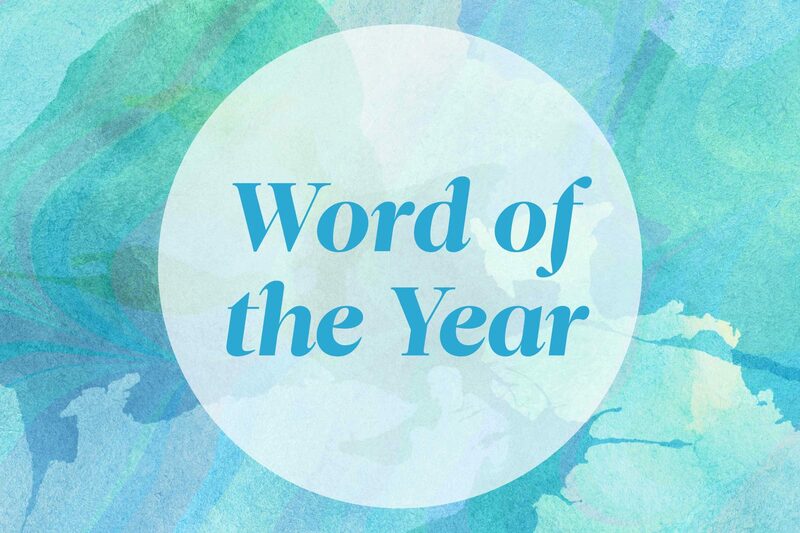 The word of the year posts are rampant on the blogosphere these days. I never had a word for the year 2016. I had diligently written down a list of New Year resolutions though for the year 2016, a major portion of which was fulfilled too over the time. Yesterday, as I skimmed through the blog posts I had saved to be savoured at the end of the day with a hot cup of black tea, I realised that many of the posts struck a chord with me, in that they all spoke loud my vagaries, downsides and dilemmas. I realised then that, like the authors of those blogposts, I needed to be determined too. I needed to be more confident in my decisions too. I needed to believe in myself more too.I needed to grow more too. The epiphany left me awe struck as I explored more the distressing jagged line that connects human beings. We all are struggling one way or the other, aren’t we? We all are aware of that one irksome stub that makes our lives harrowing, yet we are lent helpless most of the times in the fight to overcome that. There are many who succeed, however there are a lot others who fail. They are in a constant war against their own lopsided self. They are the ones who keep fighting, come hell or high water, so that they are bereft of that one annoying facet without which they would be granted a much more peaceful and satisfied life, yet for some reason come across dejections one year after the other? Aren’t they really the ones who deserve the highest accolades for maintaining the grit and agility to keep fighting? I was thoroughly touched by the gesture and so here I am, with my word of the year, so that I would in some way or the other, play my part in the measures being undertaken in the construction of a much better society. Individuals form a society and the strength of the society undoubtedly resides in the mental and physical health being of the people who form it. Don’t you agree? I didn’t have to think much to reach a conclusion as to what that word would be. If I remember it correctly, I happened to leave the same as comments on the many blog posts I read last week. My word for the year 2017 would be ‘Engage’ and by engage, I mean productive engagement with myself and with those around me. As I mentioned in this post, I am a doctor, but I am fraught with anxieties of my own. For most parts of 2016, I struggled with anxiety and it did make my life a deplorable hell. I had devised many ways to combat the disease that gnawed on my peaceful state of mind and one among them was to be mindful. I realised the importance of being present in the now, to engage in the conversations happening seamlessly around me, to engage with myself, to listen to the soothing whispers of the nature, to completely immerse myself in the moment and to imbibe each and every ray of life that is being offered to me, instead of fretting over the unseen, unheard, unknown future unnecessarily. Right when I decided I would put up this post, I stumbled upon this beautiful article on Pocket, where the author, Greg Mckeown, elaborately details the importance of listening to the other person during conversations and how it would invariably act to strengthen the bond between them. The act of listening also helps us to be present in the now, leaving us deeply engaged in the moment, blocking the germs of anxiety that crawl invigoratively to reach our minds. He also goes on to explain the importance of relishing to the fullest whatever activity that you are performing – be it watching T.V, reading, working or even something as simple as having food or relaxing. I pondered deep the many ways I could put the word to use and came up with a small but highly relevant list for myself. I wouldn’t know whether you would seek any benefit from this personal list, but I would be honoured if at least one of you could find this useful in their daily lives. Here, I am dividing my life into two important halves – The first half that I spend in the company of my friends, family and colleagues and the second half that I spend in solitude. What could I do to engage myself in these two situations? I could engage in productive conversations with them. I could listen to what they are saying whole-heartedly, with much patience and respond to their conclusions and opinions. I could put forward questions, that would nourish the conversation and thereby the bond between us more. All of this could in one way or the other help me in being present in the moment, rather than having a mind that loiters around aimlessly while feigning to be a part of the conversation, which only adds more fuel to the mind vulnerable to stray thoughts and anxiety. Breathing in and out once in an hour goes a long way in calming me down. Blogging is a fine stress buster which also helps me in polishing my writing skills. I was far behind in catching up with my fellow bloggers’ blog post before, but these days, I make it a point to keep aside at least half an hour a day to catch up with my favourite blogs. I could always edit whatever I have written. Talking to friends or my family over the phone somehow or the other calms me down, and I find that after a short conversation with them, I am more clear headed and capable of making good decisions. I could always note down points for my next blog post. Watching movies and series have been an all time favourite hobby and I could do just that to keep myself engaged. Last but most importantly, I could study more, as I am pursuing my second course on my area of specialising in the field of medicine. This list is never complete, I know and there would always be one thing more I could do to achieve my goal in a better way. I would definitely keep my mind open to seek that out along the journey. I might fail miserably along the way too, I am aware, but I hope to rise from the ashes every time and for that I need to be heavily determined. Before I wind this post up, do share that one word you have decided for the year 2017 that would mould a better person out of you. If you haven’t heard of this yet, think long and heard and find that one portion of yours that is in dire need of sculpturing. Who knows, with this one wise decision, you might even end up entering 2018 as a more rejuvenated version of your present being. This personal list that you have prepared can in fact be very helpful for many of us. We tend to forget to be present, fully present in the moment, in the now and inevitably start fretting over all sorts of things that have nothing to do with what is right in front of us at this moment. So these reminders are very helpful, Maliny. Thank you! Wishing you all the best for 2017 as you continue to engage more meaningfully and holistically. Be well! P.S: my #WOTY is THRIVE. A wonderful choice there Maliny….We have been lacking precisely this engagement – with others and with our own self too…..Connections that are true and heartfelt are lacking these days….Your choice of the word shows that you have a beautiful heart. All the very best to you in 2017! Engaging – it isn’t an easy thing for people like me. Listening without holding an internal conversation with yourself is a skill many struggle with. And for my brother in law, who is developmentally disabled, it is most difficult for him to become engaged. He is anxious, and has suffered so in the past. Lovely choice, Maliny. Beautiful list you got there.I can surely use with that list. This is what I love about blogging. As I visit others I find treasures to keep with me. 🙂 Absolutely happy that I found your blog. 🙂 Wishing you all success this year! Listening to others during a conversation is of utmost importance to me. I generally listen to people in a one-to-one conversation keenly. There are times when I find their dissertation boring, but I try not to reveal my boredom strongly. And, on the other hand, I love to spend time with myself. I too believe in the power of listening. People told me that I am good listener and I consider this as a compliment that makes my Life worth living. Mine is Minimalism and I am going good. The way you divide your Life is so practical. As I was reading this, I was enjoying it to the fullest . Nice way to ease up the things. Have a wonderful year ahead Malini.